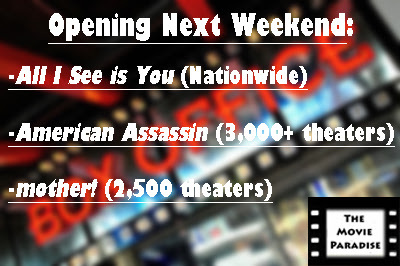 Weekend Box Office is a series that I gave up a while ago, but I've decided to bring back. I love all aspects of film, but one part I specifically enjoy is box office numbers and statistics. I think it's a fun element of the movies, and I've missed talking about it. After It's record breaking opening weekend, I decided that I would bring back the series, and try it out again. If it gets enough hits, then I'll keep it as a weekly series posted on Mondays. In Weekend Box Office, we will be---you guessed it--- breaking down the past weekend's box office. We will look at what new films opened that weekend, how big their openings were, what the movies' total grosses are, and so forth. Please note that all numbers are in fact domestic intakes, and come from Box Office Mojo. 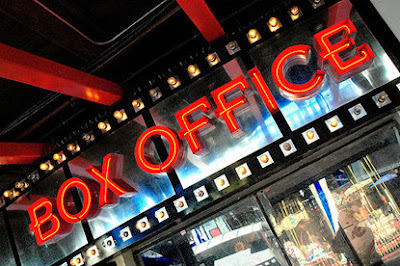 Most Weekend Box Office articles will be written on Sundays, so all numbers will be estimates. The articles will be updated should there be any major changes from Sunday estimates to Monday actuals. Just a note, we had some big box office news earlier, with Despicable Me 3 crossing $1 billion dollars worldwide. You can read our full report on that story here. But, without further ado, let's get into this past weekend's box office! In its opening weekend, It came in first place at the box office. This film shattered not just box office expectations, but box office records as well. It was initially projected to make around $50 million, but has since nearly tripled that. It had the biggest opening for a horror movie ever (both rated PG-13 and R), and it is also the largest September opening ever, and largest fall opening ever. It is absolutely crazy that It made as much money as it did. And this is coming just off the heels of last weekend, which was the lowest grossing Labor Day weekend since 2000. Now, let's talk longevity. It will only be going up against American Assassin and mother! next weekend, and I think it will easily top those. I don't think the drop off will be too bad, considering the word of mouth. My guess would be that it will only have drop off between 40-50%. However, it does have some stiff competition coming up the following week. You have Kingsman: The Golden Circle, which I don't think will make as much money in its opening weekend as It did, but it will certainly take away from It's box office in its third week. 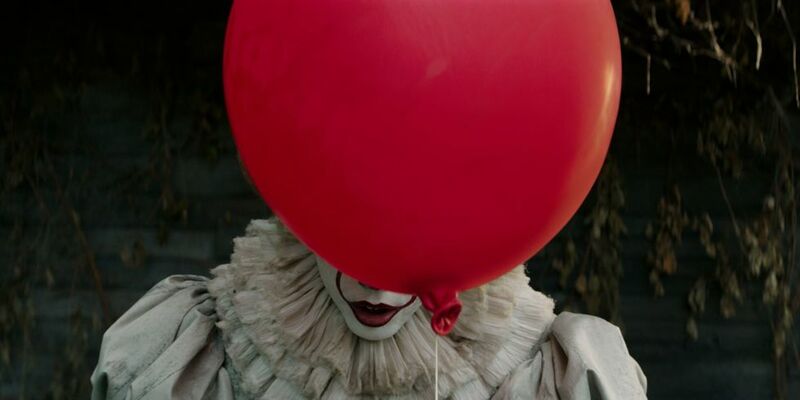 This is an absolutely incredible opening weekend for It, and I couldn't be happier for it. You can read our spoiler-free review for the film here. In its opening weekend, Home Again came in second place at the box office. There is a nearly $110 million dollar difference between first place and second place, the fifth largest box office gap between #1 and #2 in history. Honestly, I'm surprised Home Again made as much as it did. 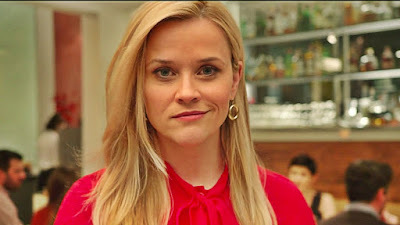 Yes, you have Reese Witherspoon in it, but everything else about it looks like complete dog sh*t. Even the concept is ridiculous. I don't want to waste my time typing the nonsense premise, so you can go read it on your own time if you have literally nothing else to do. I'll give credit where credit is due: it was smart to put this up against It. It was a sensible counter-programming decision. Was there a $110 million dollar gap between It and Home Again? Yes, there was. But I do think Home Again would've made less if it wasn't going up against the mega-popular It. You certainly had some reluctant viewers seeing Home Again because It was sold out. In the coming weeks, Home Again will fade away into obscurity, and it'll end up going up on Netflix by the end of October, I'm sure. In its fourth week of release, The Hitman's Bodyguard came in third place at the box office. The Hitman's Bodyguard became this year's annual August juggernaut, where one film constantly tops the box office during the deadzone that is the end of August. Now, it hasn't made a ton of money in actuality. It's grossed $64 million dollars worldwide so far on a $30 million dollar budget. I think Lionsgate will break even with this movie, but they won't really make much off of it. But despite it not grossing that much, it has continuously been number one at the box office. Every year, you usually have one movie that dominates the box office from the middle of August into the first couple weeks of September. 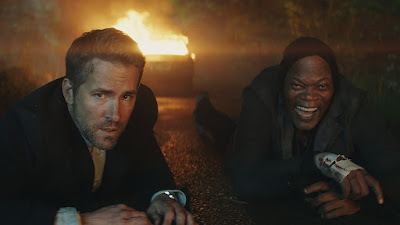 There aren't usually a lot of high profile movies coming out within that time, and it makes it easy for something like a Hitman's Bodyguard to be number one week after week, even if it isn't actually making all that much. With the release of It, and more films on the horizon, I think The Hitman's Bodyguard will now drop off the top five and disappear. 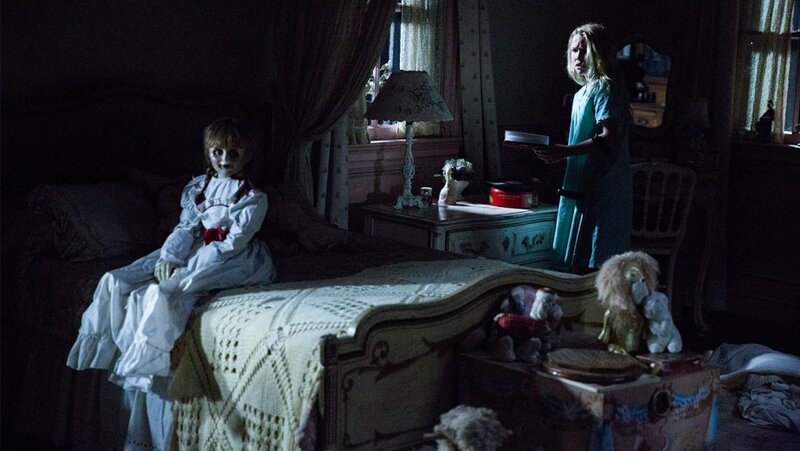 In its fifth week of release, Annabelle: Creation came in fourth place at the box office. I'm surprised Annabelle made it into the top five this week, considering this was the opening weekend of It. You would think if people were going to see any horror movie this weekend, they'd go see the one that just came out rather than the one that's already been out for five weeks. Granted, it did only make $4 million dollars, but I still think that's a considerable amount going up against It. This is another movie that has had its time at the box office. It's made $280 million dollars worldwide on a $15 million dollar budget, which is incredible. That's a fantastic intake, and Warner Bros. should be thrilled with that. But with It now in theaters, and more movies coming, I don't think Annabelle: Creation will be making much more money at the box office. You can read our spoiler-free review for the film here. 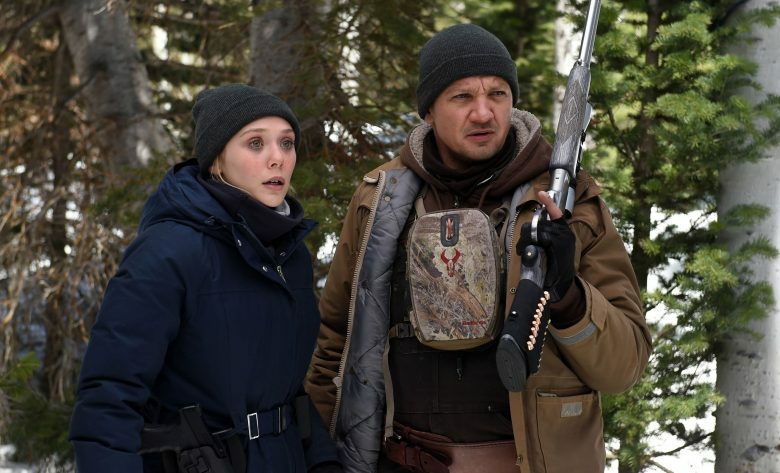 In its sixth week of release, Wind River came in fifth place at the box office. So far, Wind River has made $25 million dollars worldwide on an $11 million dollar budget, which isn't great. But it is a tiny film, and I don't think there were any huge box office expectations for it. It's sad to think that this movie won't break even, considering the fact that it's a really good film. But it's time is done at the box office. Perhaps it can stick around in the seventh or eighth spot for a few weeks, and make a million here or there to continue building its gross, but I think it could only survive like that a week or two. Wind River will not be in the top five next weekend, and I doubt it will stay in the top ten much longer. You can read our spoiler-free review for the film here. What do you think? What do you make of the top five this weekend? What movies did you go see this past weekend? What will the top five look like for next week? Leave your thoughts in the comments section below.